No Plastic Cards, No Stamps No Hassle! Technology has finally called time on old paper loyalty cards. 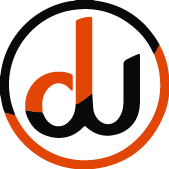 DW Loyalty App is the ultimate loyalty app that not only lets you give back rewards to your loyal customers but it will help you increase your sales! You are in charge of the loyalty percentage given to your clients. Our app will be fully customised to represent your brand and marketing. Increase your engagement with your clients by sharing events, discounts and much more.